Teddy Bridgewater must’ve figured he’d have a better future Bike Lifing to Choppa in the Saints locker room than he would quarterbacking the Miami Dolphins because he returned to backup Drew Brees for another season. Brees’ contract is up after next season, so maybe Bridgewater is testing the water to see if Brees, who’s 40, will finally ride off into retirement, leaving him as the heir apparent. Gut punch here. You’d think the city of Baltimore secretly declared war on the city of New Orleans. 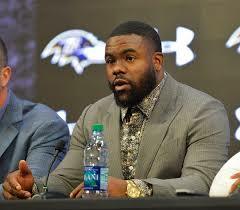 If the warning shot was them taking our police chief, the official declaration came when they took our starting running back. Yep, as you probably know, Mark Ingram is gone. 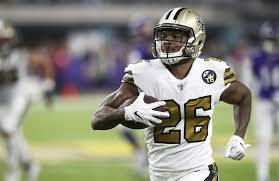 The only peep we’ve heard from him since were ransom-like pleas where he professed his undying love for the team and the city and the advice Ingram gave to his replacement about how signing with the Saints was a no-brainer. That doesn’t sound like a man voluntarily leaving for a 3-year $15 million contract and the chance to finally become a feature back. It sounds like a man taken against his will. His replacement, Latavius Murray, comes in at 6’3” 230 pounds and is best described as a nimble bulldozer. He has big pads to fill though, both on the field and in the locker room. Side note: Ingram was 8 yards away from becoming the Saints all-time leading rusher, and now he’s gone. How, and why, does that happen? No movement here. No visits scheduled. 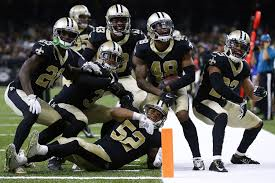 The Saints must be banking on Michael Thomas being Michael Thomas, Ted Ginn staying healthy, Tre’Quan Smith becoming dependable, and Cameron Meredith justifying the money they spent on him during last year’s free agency. Benjamin Watson retired after an average season, leaving the Saints with two tight ends on the roster, neither of whom are starter material. Dan Arnold should best be remembered for dropping a sure touchdown during the NFC Championship, and Josh Hill, while solid, is not a good blocker, and has his pass catching skills are not comparable to Jimmy Graham’s, whom he was brought in to replace. The Saints did bring in Jared Cook, the top tight end on the market, but he left without a contract offer. 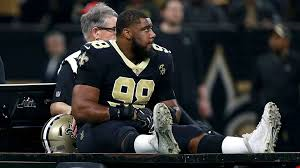 The Saints moved quickly to replace center Max Unger who unexpectedly retired, leaving the Saints with an extra $6.9 million in cap space but no starting center, and nobody on the roster who’s ever started a game at center. Gee thanks, Max. The Saints will spend $6 million a year on their new center, Nick Easton, who had been out of football for a year recovering from a neck injury. Backup left tackle Jermon Bushrod is off visiting the Panthers (traitor), so currently the offensive line breaks down like this– oft-injured Terron Armsetad and Andrus Peat holding down the left side, Easton at center, and two studs (Larry Warford, and Ryan Ramczyk) solidifying the right side. The backups are unknown and to be determined. 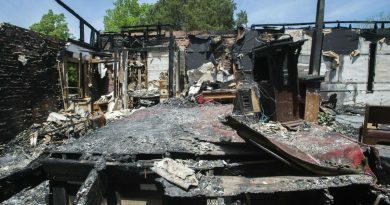 Decimated. Sheldon Rankins tore his ACL during the Divisional Round in January, which means he’ll probably miss most of next season, or spend it trying to round into form. His backup, David Onyemata, might be suspended for the first few games after the police found weed in his apartment. His backup, Tyler Davidson, is a free agent. Alex Okafor, the starter on the right side, left for Kansas City. The Saints were forced to spend the little cap money they did have on fortifying the line. They brought in lineman Malcom Brown and Mario Edwards. Neither are household names, but that could change once they get in Dennis Allen’s system. Same crew. Demario Davis, A.J. Klein, and Alex Anzalone are the starters. Craig Robertson, the Swiss Army knife, backs them up at all positions. Marshon Lattimore and Eli Apple were Super Bowl worthy during the playoffs, and they return as starters. PJ Williams returns as the solid-one-game and the please-remove-him-from-the-field-another-game backup. Former starter Ken Crawley is an unrestricted free agent. 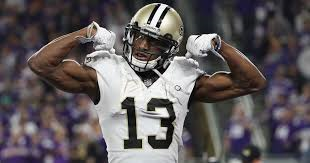 The Saints responded to his impending market draw by signing him to the lowest tender possible, probably because after the way he played last season nobody else is going to sign him. 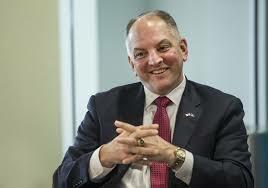 If a team does sign him, the Saints have the right to match the offer. They probably won’t, and he probably won’t get an offer, so he should be back for a shot at redemption. Marcus Williams and Vonn Bell.Bell is blossoming. After a great first year(minus the Minnesota debacle) Williams was just ok last year. Wil Lutz, Thomas Morestead, Chris Banjo, and Taysum Hill = Pro-Bowl worthy, Pro-Bowl worthy, Pro-Bowl worthy, Pro-Bowl worthy. The Saints went all in to win the Super Bowl last year. They traded future draft picks to bring in Marcus Davenport, Teddy Bridgewater, and Eli Apple, maneuvered cap space to resign Brees and lure Cameron Meredith. Those moves have left them cash strapped and short on draft picks for the upcoming season. So far, on paper, they seem like a solid playoff team, but unless some players up their game, others play over their heads, and the remaining cap space is used to bring in depth and offensive firepower it’s hard to see them competing for home-field advantage and a Super Bowl. That’s where they stand after the first week of free agency. Who knows, though, between now and next month’s draft they may be Who Dat-ing to a different tune.